I’m still catching up with the Media-Gadget and HTPC related news from CES. 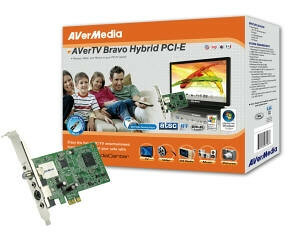 One of the announcements was from AverMedia. 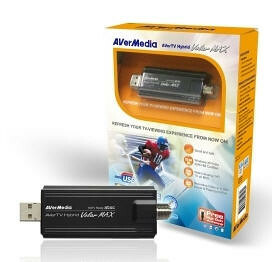 AVerTV Hybrid PocketExpress lists for $89.99 with ATSC/NTSC/Clear QAM/FM Radio tuning on the 34mm or 54mm ExpressCard slot. AVerTVHD Duet tunes two digital signals (ATSC and Clear QAM) at once and lists for $79.99. 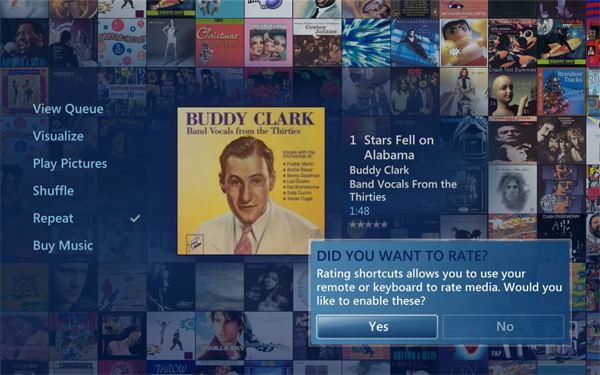 Two Microsoft enthusiasts are questioning Microsoft's Media Center product this week. Chris Lanier and Paul Thurrott both made comments that raise the question of Media Center and the direction Microsoft will be taking with it going forward. First off, Chris Lanier has a post that will likely stir the emotions of Media Center users as well as the Microsoft Media Center team. The post is called "Microsoft Focuses Media Center Marketing, Platform to Follow". "Not whole home connected entertainment, not Media Center in your living room, not Extenders, not high-end theaters, but “TV on your PC.” In other words, the days of Media Center being billed as the do-it-all center of your home are over (except for the custom market)." 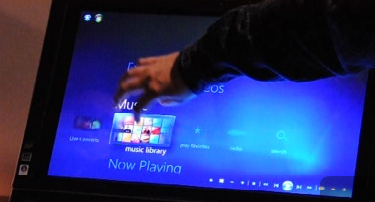 The article focuses on the future of Media Center and the direction Microsoft is taking it. The post itself is an excellent read and the comments section is even better. Don't miss it if you're even slightly interested in Media Center. The response from Ian Dixon is also worth a look. PAUL THURROTT CALLS MEDIA CENTER A STINKBOMB! "The list of Microsoft consumer stinkbombs is a mile high. Media Center. MediaRoom. UltimateTV. WebTV. PlaysForSure/Windows Media DRM. Zune. That Outlook-compatible phone from years back. Any product with the words "Microsoft" and "Home" in them. The Teddy Ruxbin bear thing. (And you thought I'd forgotten.) Don't get me wrong: Many of these are good, even great products. But if it's just me and 17 other people using them, what's the point?" Paul goes on further to say "they can't have lost their way. They've just simply never made it work." Separate Media Center from the OS. With Windows 7 coming it doesn't look like this will happen in the next few years or possibly ever. There are so many reasons to do this in my opinion including faster updates, less OS red-tape, ability to evolve faster with the market etc. OnlyDarksets has a great article on why this is a great idea. Quit the DRM stuff. CableCard can have the DRM, but don't push DVR-MS or the new DRMd format on the users for non-CableCard channels. Allow Server/Client architecture- this is a big one for me. I could never go to Media Center without it allowing a true, Server/Client architecture that allows a single server and multiple clients all with the same functionality and no need for synching etc. 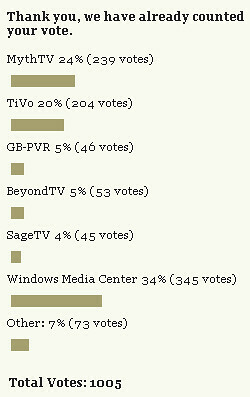 SageTV, BeyondTV and many of the freeware HTPC programs have this - why not Microsoft? And while we're on that topic, why is it that SageTV is the only HTPC program that has true, Windows Home Server (WHS) support? Seriously, WHS is Microsoft's product for goodness sake! Allow hardware extenders to do nearly everything the server can do. See number 3 above, but it's really more than that. The codec support in the SageTV HD100 and HD200 extenders are a great example of extenders done right. Yes, the Xbox360 does an okay job of acting as an extender, but you have to be honest with yourself and admit that the XBox360 is a game machine that can also act as an extender as long as you use the proper formats and do this and that to get it to work - it's not a complete extender solution in my opinion. Open up to the Hauppauge HD-PVR and possibly a DishTV tuner. Will this happen? Could it possibly be coming with Windows 7? If they pull this off, they'll make many Media Center fans very, very happy. What do you think? Is Media Center going anywhere good? Will Microsoft just let it die on the vine or is it an important part of their future? 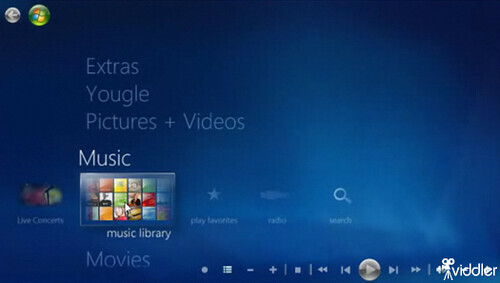 Alan at MissingRemote did a nice walk through of the new Windows 7 Media Center Music Library. Music is one area where I see Media Center ahead of the competition in features and UI. Alan liked what is there, but also would like to see addition support for adding your own podcasts and online radio stations as well as integration with the Zune marketplace. 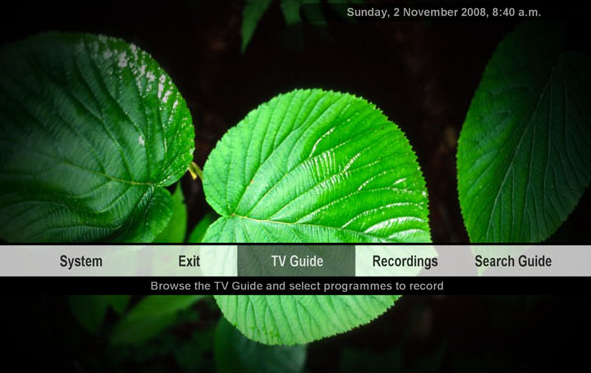 Last time GeekTonic checked in with GBPVR it had just released a major new release with 1.3.7 that included a new User Interface and skin among other nice features. Now in January 2009, GBPVR has updated to 1.3.11. Most of the updates between 1.3.7 and 1.3.11 are bug fixes and tweaks, but definitely important updates if you’re a GBPVR user. improved .ts playback compatibility with certain audio decoder (MPA, ffdshow etc). failed recordings are now listed in the 'whats new' section of the Recordings screen. Previously they were only listed in the 'ready' section. fixed a bug with DVB EPG parsing which could access violation crashes. extended the current selection remembering to work with the top level selection when multiple video/music/photo directories have been specified. should no longer need the various "BDASubmitTuningRequestTwicexxxx" config.xml settings set to true. fixed a jitter problem that could occur in the last build on the MVP and PCH. With all of the CES news last week, some Media Electronics News was overshadowed a bit including the fact that Divx released version 7 of its popular video/audio compression software. Divx 7 introduces support for full HD H.264 videos. Divx7 comes in two forms, the freeware edition with video playback support and a $19.99 version providing additional creation and conversion tools for DivX videos. The software also includes the DivX H.264 decoder filter and the DivX MKV Demux filter (both DirecShow filters that extend playback support for MKV files.) MKV is quickly growing in popularity for HD downloads as an open standard format that allows an unlimited number of video, audio, picture and/or subtitle tracks inside one single file. Another new feature is the integration of AAC audio (digital audio format with multichannel audio support). Also of note for Media Gadget Fans: DivX also also announced the launch of the Divx Plus Certification program enabling the implementation of Divx technology on game consoles, televisions, mobile devices, and more. 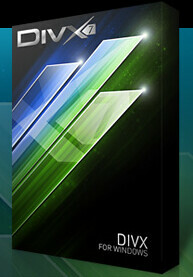 I noticed that Windows 7 is set to have Divx built into it natively. Download DivX 7 here with a 15-day trial to sample all the encoding goodies as well. Week 2 of the Winter 2009 TV Season is upon us with plenty of new and returning shows to keep your DVRs busy. This week will be another busy one with "24" returning, Kyle XY, American Idol, Battlestar Galactica, Friday Night Lights and several other premieres. Read on for all of the details. 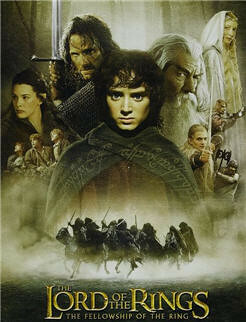 Note: The complete guide to the Winter 2009 TV Premieres with a free, downloadable guide is here. The PDF downloads have been updated and an additional by-title sorted listing was added as well. 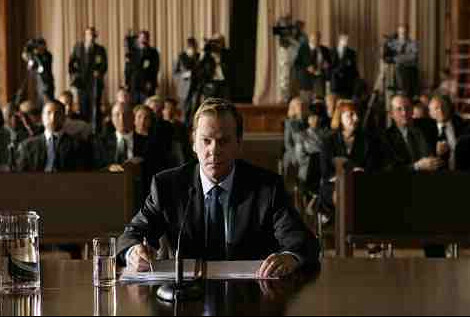 Jack from "24" is Back! 24 (8pm Sunday on Fox - Available in HD) - Season 7 premiere starts tonight and continues to its regular timeslot on Monday. One of my favorites on television. The Apprentice (9pm Sunday on NBC - Available in HD) Season 8 of The Apprentice begins with another Celebrity Edition. Correction: 2-hour episodes begin on Sunday, March 1 at 9 pm/ET. American Idol (8pm Tuesday on FOX) - Season 8 of one of the most popular reality TV shows. America's Best Dance Crew (10:00pm Thursday on MTV) - Season 3 Premiere. The Apprentice (9pm on NBC - Available in HD) Season 8 of The Apprentice begins - another Celebrity Edition. Correction: he 2-hour episodes begin on Sunday, March 1 at 9 pm/ET. American Idol (8pm on Fox – Available in HD) - Season 8 Premieres and be on way too many nights a week starting with this Tuesday. Battlestar Galactica (10pm on SciFi– Available in HD) - Season 4 part 2 begins. This will be the final 10 episodes of the series - ever. Friday Night Lights (3pm on NBC – Available in HD) - Season 3 begins for most of us (this season actually was aired on Satellite only last year, but most will be seeing it for the first time on network TV). NOTE: For those of you recording Friday Night Lights with a DVR or HTPC, be sure and set it to record all shows - not just new shows since season 3 was aired already on DirectTV. That’s it for this week. Stay tuned for many more premieres including Lost, the Closer, Lie to Me, Hell's Kitchen and more which you’ll find on GeekTonic this coming Sunday morning and each week on Sundays.